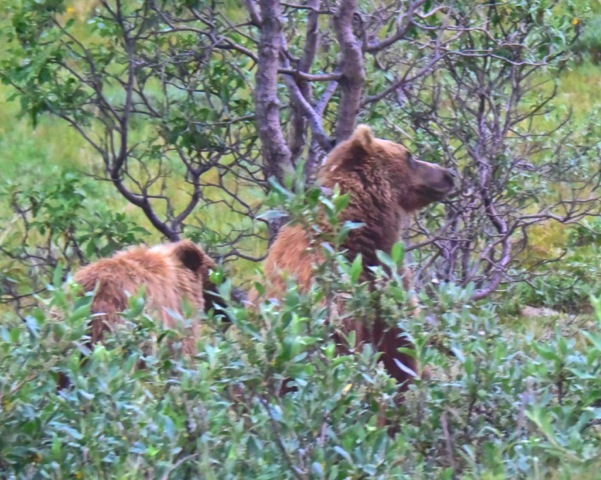 We were fortunate in being able to see several grizzly bears on our bus ride. 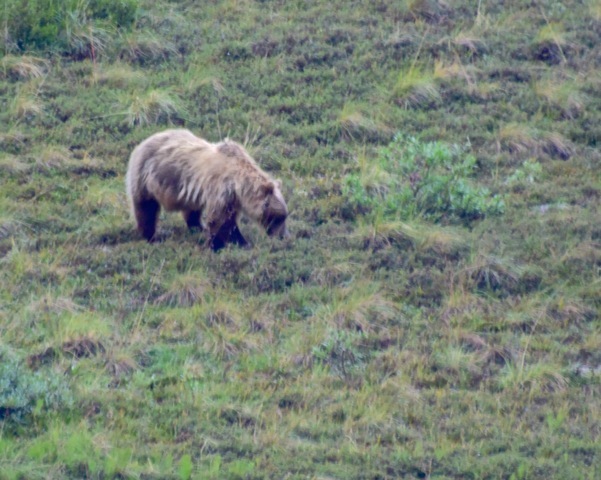 A few were even fairly close to the Denali park road. 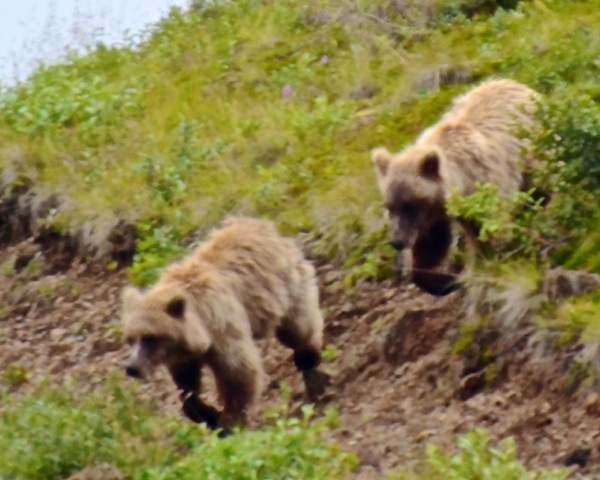 A pair of grizzly youngsters, maybe two years old, scurrying down a hillside. This appears to be an adult and it appeared to have an itch it was scratching off on the small tree. This large adult grizzly was quite a ways from the road. It appears it has some more shedding to do.